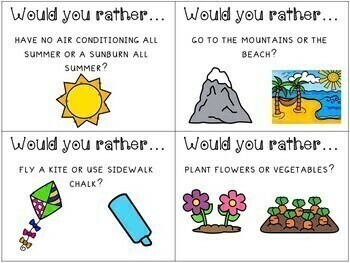 Here is a fun end of the year or beginning of the year (or summer if you're year-round) would you rather game! 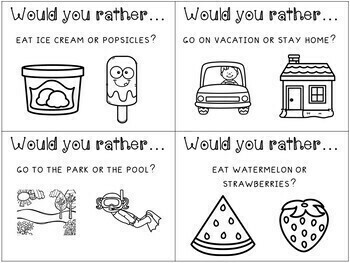 All of these questions are centered around summertime activities. 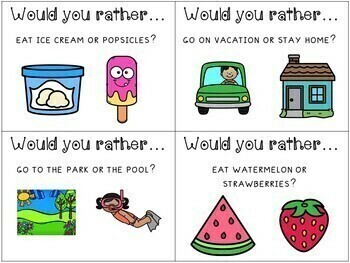 Students hear or read the question and answer which option they'd rather have and explain why. 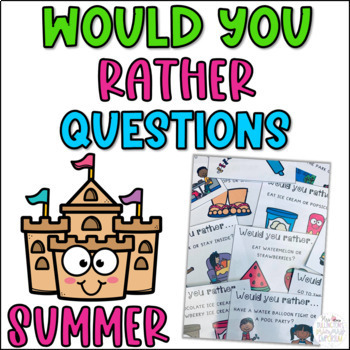 These cards are great for small group time fillers or end of the year centers! Make sure to check out the preview so you're sure of what you're buying!